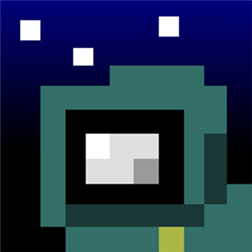 I’m officially announcing MoonMen, an arcade game for Windows Phone 7 and 8. It takes inspiration from a game we used to play on our Commodore 64, which itself takes inspiration from another arcade game that takes inspiration from another arcade game, and so on. This is how many games go. So feel free to download it!